Mert combines extensive life-sciences experience with a talent for deal-making to help health care and technology clients improve their competitiveness in ever-changing markets. A former chemist and molecular geneticist, Mert utilizes strong analytical thinking to resolve his client's concerns and help build new affiliations, structure novel delivery networks, and nurture promising startups that are reshaping how health care is delivered. Mert is a Partner in the firm's Corporate and Health Care Departments and is Chair of the Health Care Transactions Practice Group and Co-Chair of the Academic Medical Centers, Hospitals and Health Systems Practice Group. 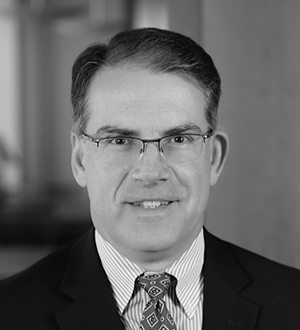 He specializes in business transactions, including mergers and acquisitions, affiliations and strategic alliances, financings, and joint ventures, as well as licensing and collaboration arrangements and other technology-transfer matters. He also devotes a significant portion of his practice to cultivating and counseling emerging growth companies spun out of universities and early-, mid-, and late-stage ventures in the biotechnology, life sciences, medical device, and health care IT industries. Mert's clients span a broad spectrum of disciplines, including life sciences, biotechnology, chemical and medical device companies, hospitals, health systems and other health care providers, and IT and manufacturing companies. Before joining Wiggin and Dana, Mert was a research scientist at Pfizer, engaged in molecular genetics and protein chemistry research and in the application of computer-based modeling and imaging systems to these disciplines. Mert received his J. D. with high honors from the University of Connecticut School of Law, where he was on the Connecticut Law Review. Mert received his B. A. in chemistry from Amherst College.